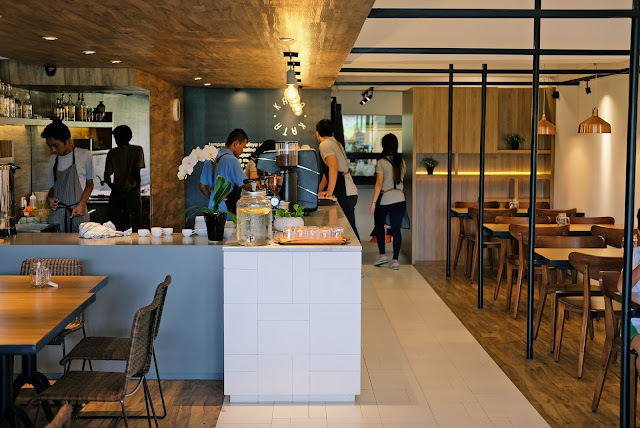 Another coffee shop in town, specifically in Muara Karang, Pluit. Let me introduce you to Kata Kata Eat To Meet! A relatively new coffee shop opened around 21/22 June 2017. By the time we visitied here, it was just 4 days old. 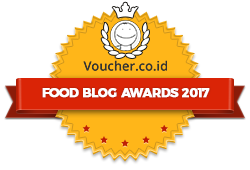 As of the writing of this blog 29 June 2017, they are still in soft opening period. So, expect to have some changes on their menus on the grand opening later, because they had not fixed on their food menus. Let me show you a little bit of our breakfast experience here! The uber hyped Flower Market in Central Grand Indonesia is finally on our blog! 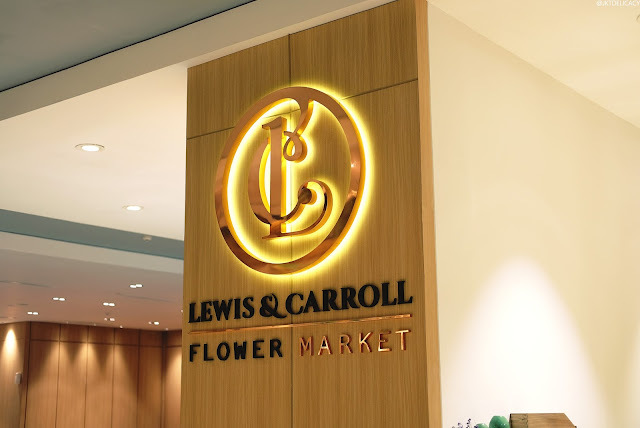 This is Lewis and Carroll second outlet after their first one in South Jakarta. We happened to visit here in mid June 2017 when we were actually looking for some dinner and we heard about this newly opened flower market. It is located at Upper Ground Central Department Store just before the border with Kempinski. We instantly fell in love with the ambience here. Its just so calming and relaxing. But how's the food? Well, we've covered our short review here! Are you ready for our next staycation review??? Because we are going to bring you to one of the most exotic paradise in Indonesia! Welcome to Katamaran Resort in Senggigi, Lombok. A tropical vibe at the north west coast of Lombok island just next to Bali. The picture above is the reason why I was totally sold to this resort. 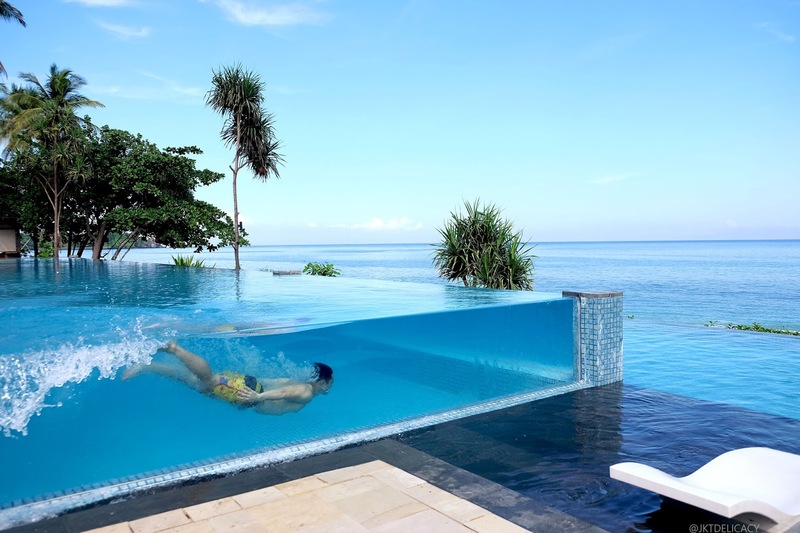 Katamaran is uber famous for its clear see-through glass swimming pool overlooking the beautiful blue ocean. Without further a due, let's check out more! Guys, have you heard about the opening of Liao Fan Hawker Chan - Hongkong Soya Sauce Chicken in Jakarta? Because they are officially opening today, 20 June 2017! 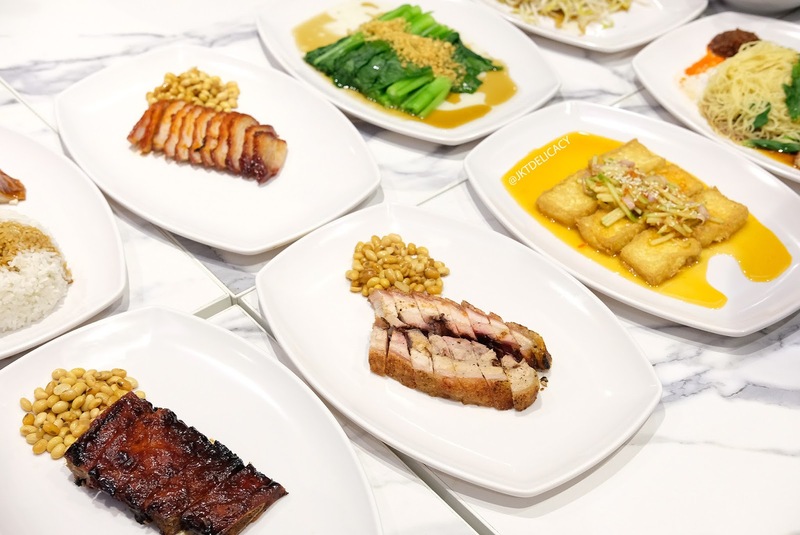 Hawker Chan is awarded the cheapest Michelin Starred Meal in the world in Singapore. Its originally a hawker stall selling Hongkong Soya chicken rice for only $2. And since awarded with Michelin (one) Star, the stall is always queued with people probably around the world for 2-3 hours! The big hype even came to my ears last year when people queuing for hours. And yesterday, 19 June 2017, I got the chance to taste the pre-opening of the official Hawker Chan in PIK Jakarta with the man himself. Since this franchise is brought by the same group as Tim Ho Wan, the outlet is located on the second floor of Tim Ho Wan in PIK. So, let's check out my quick review! Back again with an exciting Bali Hotel review. 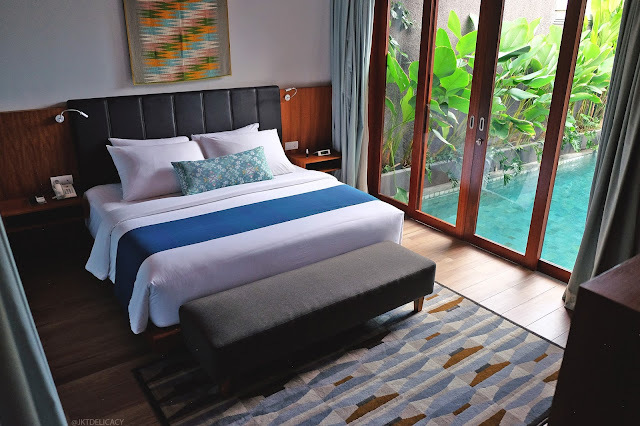 This time, I wanna share you my bext experience at the newly established S18 Bali Villas at Kuta, Bali. I was really glad that by the time we came here, it was just a few weeks old. They started running since early May 2017 and we stayed here on 27 May 2017. S18 Villas is located at Jalan Dewi Sri 3, a busy street at Kuta, Bali. It is strategically located very close to the airport, around 15 minutes or 6 km. So, its a very right decision for me to stay here, because the next day we were about to catch our morning flight. Are you ready to too see more? Let's have a look! 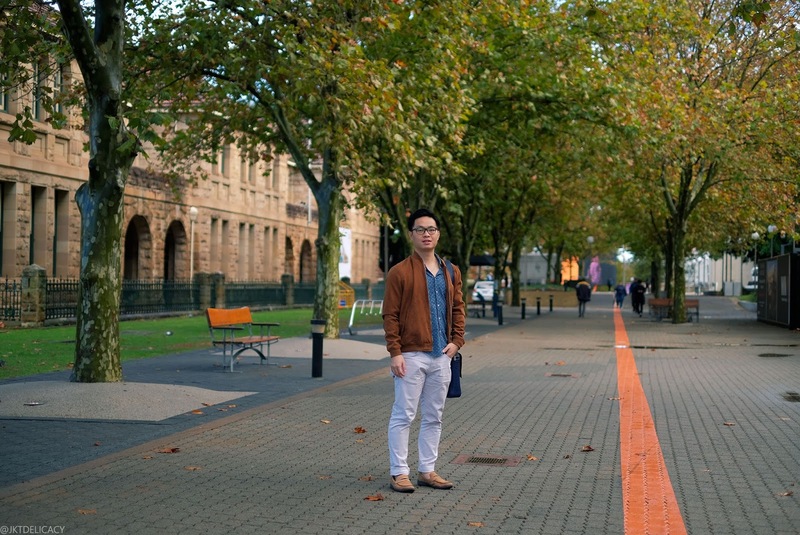 Finally, KAUM is bringing their business here in Jakarta! Its their 3rd outlet after Hongkong's and Bali's, and we were so excited to try it. 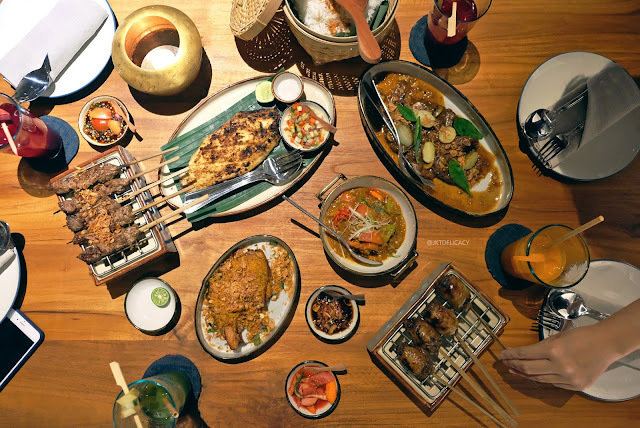 We have visited their Bali's outlet and it is by far one of the best Indonesian restaurants in Seminyak (if not in Bali). Since then, we had such quite high expectation for their new outlet in Jakarta. It was a breathtaking experience once we stepped inside the restaurant as it was totally a new experience here. Room was very uniquely Indonesia and it really felt like home actually. So, how's the food? Well, we have covered our tasting result here. Let's check it out. Welcome to Jeeva Santai Resort, an exotic escape at the heart of Senggigi, Lombok. 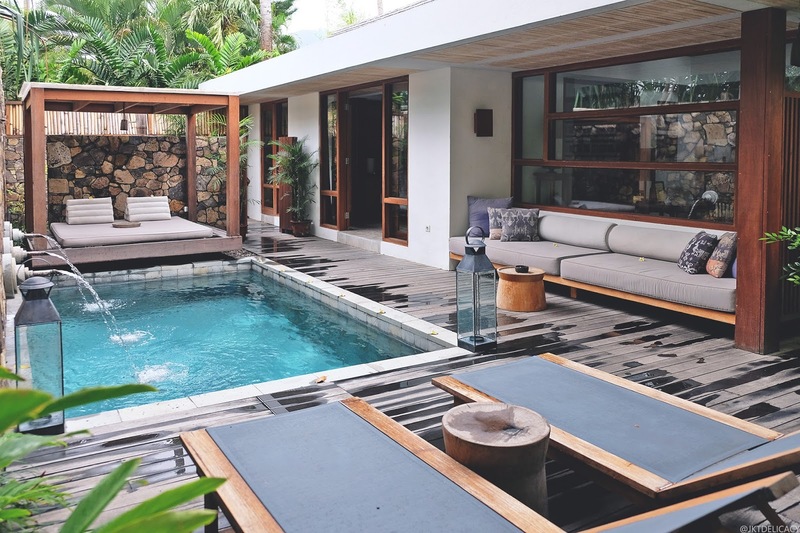 It was our first villa from our 3 days 2 nights trip to Lombok on last May 2017. Jeeva brand is not something new to us as we have had a great staying experience at Jeeva Beloam back on October 2017 in East Lombok. Jeeva is famous for its hospitality, its services, its food and its exoticism. 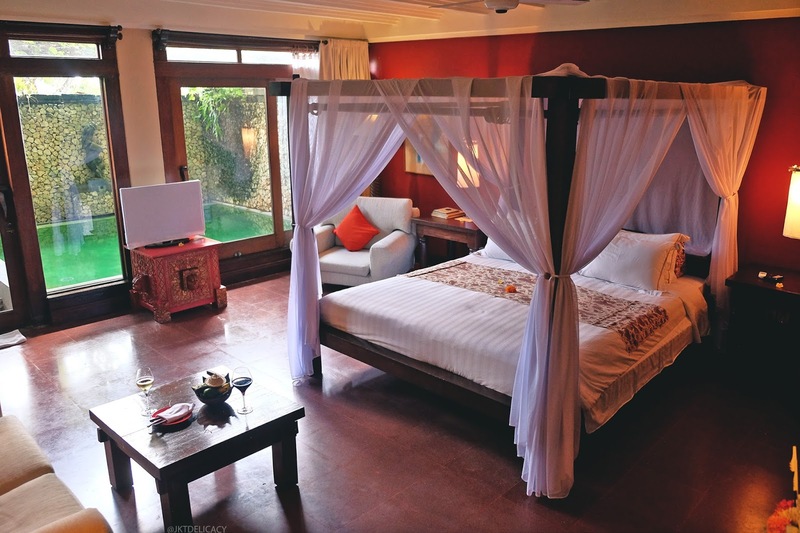 But what makes it different from many other villas that we have experienced in the past? Let's check out our review! Hot Bird! 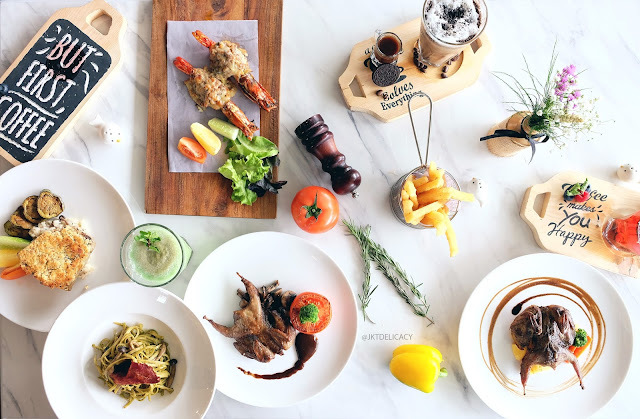 A newly opened cafe in Kelapa Gading, as its name says, specializes in Poultry dishes. we got the chance to taste a few menus during their Grand Opening earlier this June 2017 and we are excited to share them with you! From chicken, duck, fish, shrimp to spaghetti dishes. Lets check them out! 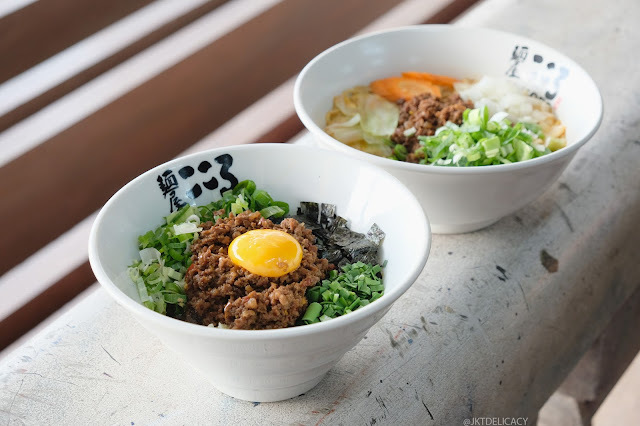 The First Kokoro Maze Soba in Indonesia! Guys, I'm proudly announcing you my latest MOST FAVORITE dry soba in town. This is Kokoro Maze Soba! Originally from Japan, this is by far the best dry soba in town, I swear! On 4 June 2017, we got invited for their pre-opening session at Grand Indonesia West Mall 5th floor to taste their signature pork soba. They really recommended us to right away mix all the soba together when served hot so that the egg yolk can mix well with the soba. For God sake, this is sooo goooood that I finished it very quickly. They have 25 outles in Tokyo and Osaka, and have been expanding to Bangkok, Spain, Paris to New York! Read more. Labels: 5 Star Hotel in Bali, Bali's best hotel, Best Hotel in Bali, Best Villa in Bali, Hotel in Canggu, Staycation in Bali, Tugu Hotel, Tugu Hotel Bali, Where to stay in Bali.